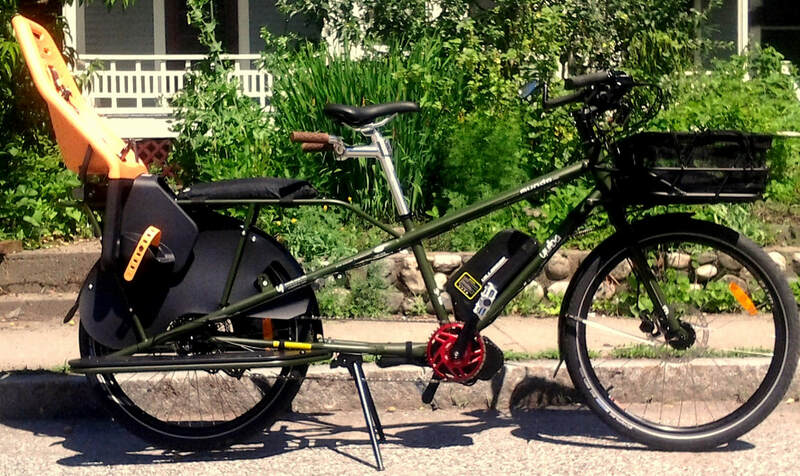 Our electric Madsen cargo bike with a super 1000 watt mid-drive assist on full-on lighting system. VBike in excited to introduce Vermont to our fleet of e-assist bikes and e-cargobikes thanks to Yuba Bicycles, Madsen Cycles, Bike Friday and Dillenger Electric Bikes! And now we've added in a variety of adaptive bikes for seniors and folks with special needs thanks to Electric Bike Technologies and Sun Bikes. It's a collection of amazing, practical & fun vehicles that are being used to showcase the diversity, utility and utter enjoyability of the new generation of hybrid human-powered/e-assist vehicles. 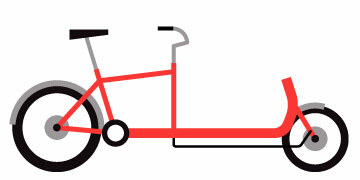 VBike's fleet vehicles are now featured for test rides at community events, workshops, and electric vehicle events. Participants gain a hands-on and personal understanding of the capabilities of these bikes for transporting children, climbing hills, navigating difficult terrain, and hauling heavy loads. We are also demonstrating the fleet to legislators, planners, government officials, and bike shops to begin the process of updating Vermont's vision of the bike! VBike director, Dave Cohen, providing a quick tutorial on our Liberty Trike. We've found that once folks get on these bikes a light goes off in their heads. It’s all about the embodied experience that really makes the connection for people. 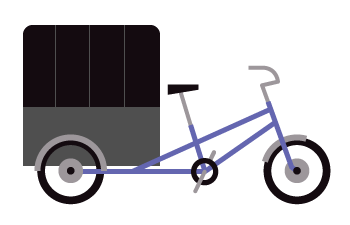 One comment we frequently hear is "game changer" when people get on one our electric bikes or e-cargobikes. 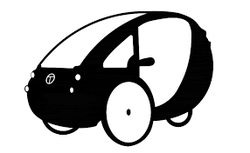 All the vehicles in the fleet and electric-assist systems are proven products and commercially available. The amazing RadMini from Rad Power Bikes. It folds, it's fat, it has room for cargo and can go almost anywhere you want to go.